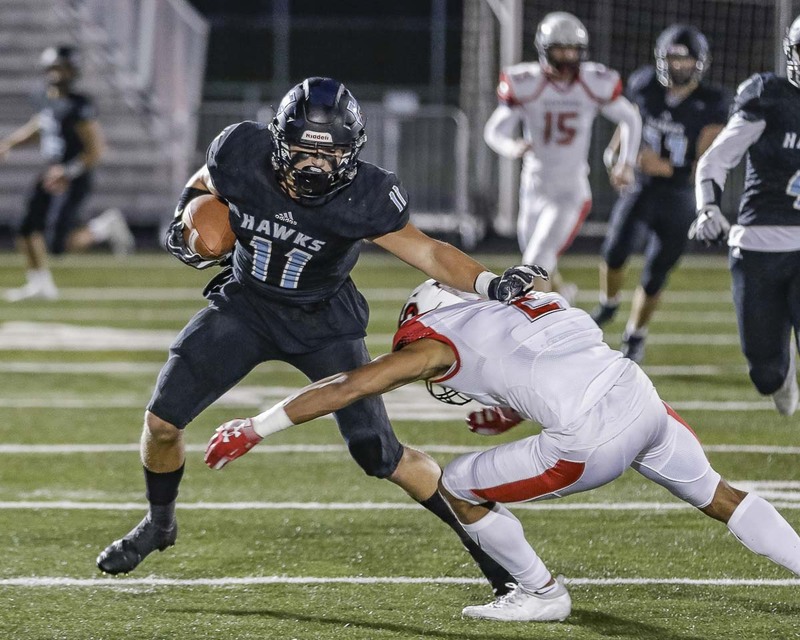 The Union Titans and Hockinson Hawks keep on winning, weeks after the football season concluded. 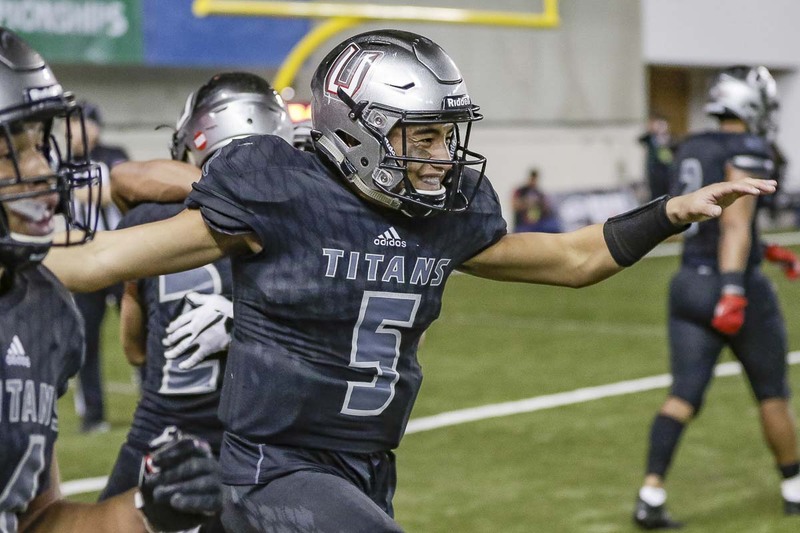 Union quarterback Lincoln Victor was voted Washington’s high school football player of the year by The Associated Press, and Hockinson’s Sawyer Racanelli was voted the 2A player of the year. Victor led Union to a 14-0 record and the Class 4A state championship. He was voted the 4A player of the year as well as the overall player of the year for the state. Racanelli was a first-team selection as a wide receiver. He accounted for six touchdowns in the 2A state championship game, with a record five rushing touchdowns out of the Wildcat formation. It was Hockinson’s second consecutive state title. In all, Union had six players in seven positions who earned all-state recognition. Darien Chase, who signed with Nebraska on Wednesday, was first-team at wide receiver and also was first team as a defensive back. Jojo Siofele, who had nearly 300 yards from scrimmage in the state championship game, was first team at running back. Giovanny Rojo (offensive line) and Josh Barber (defensive line) also made first team. Meanwhile, offensive lineman Dumitru Salagor, who signed with Montana late in the day Wednesday, made honorable mention. Joining Racanelli from Hockinson on the first team are Takumi Veley (offensive line), Nathan Balderas (defensive line), and Peyton Brammer (defensive back). Quarterback Levi Crum, Brammer (at wide receiver), Jon Domingos (linebacker), and Aidan Mallory (defensive back) were honorable mention. Several other players from Clark County earned all-state status, too. Shane Jamison of Camas made the 4A first team as a linebacker. Micah Baylous of Skyview was honorable mention as a defensive lineman. The Mountain View Thunder, who reached the 3A semifinals, had two all-state player. Michale Bolds made first team as a defensive back. Kobe Anderson made honorable mention as an offensive lineman. In Class 2A, Woodland quarterback Tyler Flanagan was the first-team, all-state quarterback. Brock Harrison of Ridgefield was honorable mention at linebacker. In Class 1A, Wyatt Dodson of La Center was first-team defensive back. The teams are selected by a statewide vote of media members.